my answer was "Yes!" and I got my camera bag ready. vivid color, graceful shapes, reflections, and abstract patterns. Beautiful, rich value contrasts, too. Company is coming, so I may not be back till next week. they certainly are the perfect subjects. lovely shots!! Did you ever to to town on these ones: everyone of them an original perspective. Your lens certainly did these immaculate beauties proud. each of these are gorgeous Anna..
really like the prespectives you captured them at..
beautiful.. have a great day.. Your images are wonderful! What a fabulous opportunity...and you made the most of it! Very special and very beautiful. Everytime you have an amazing view of the objects. I smile as I read this Anna, as I have no real interest in cars either, but a couple of weeks ago, we visited a classic car museum, and it was amazing. These photographs are wonderful, and I love the angles/compositions you chose to photograph these wonderful classics. Really, really fantastic! love each one of these. the curves and lines - superb. happy Monday to you Anna. when company comes, have fun. 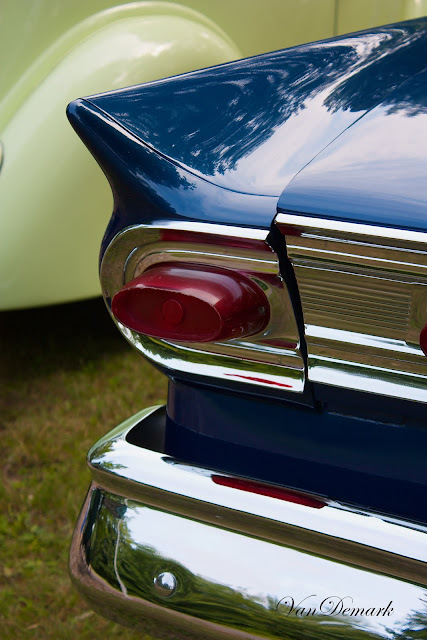 Very cool shots-love the curves and colors only classic cars can carry off. Fun! I love that very first B&W shot, with the two gentlemen in the background, which just makes it for me. 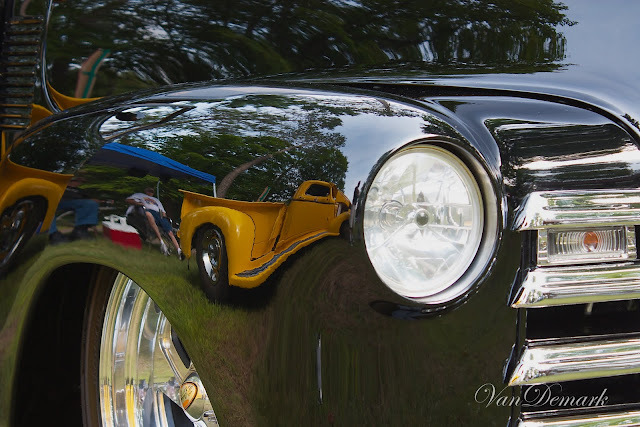 Love the shot with the reflections also. Wonderful captures, Anna! I love all that shining and the beautiful colours! 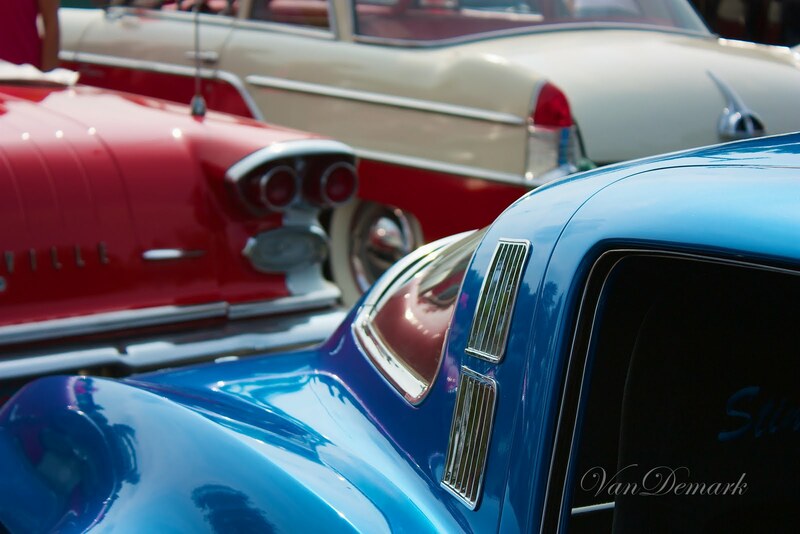 Classics but always beautiful!Very cool! 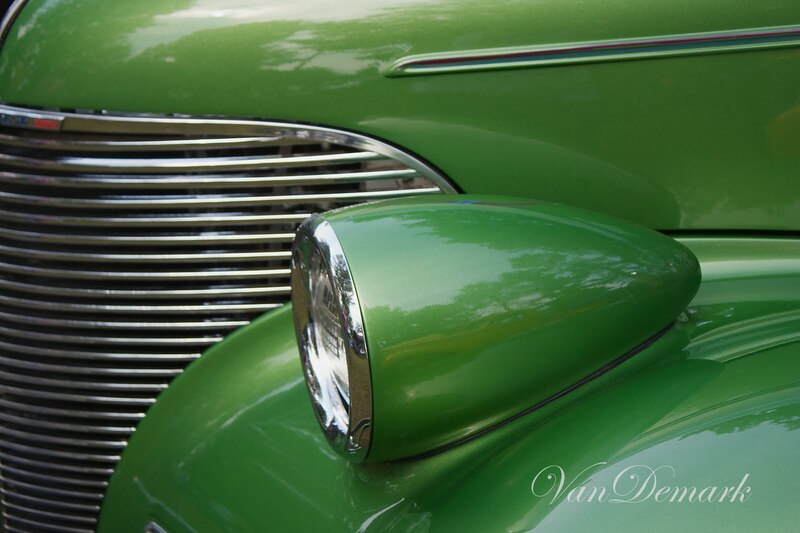 Sundays are classic car days here during the summer. 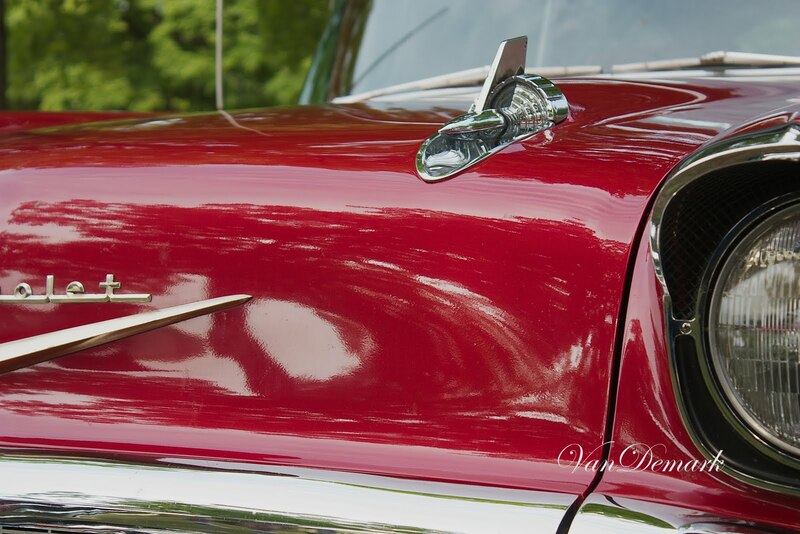 There is a nostalgic beauty that catches my heart seeing a senior couple cruising in a '57 Chevy complete with her bonnet tied so the wind doesn't toss around her hair. Love your pics! They had a lot of style, didn't they?! Like the curves and angles you have captured. Love that last shot of the interior. You are right! 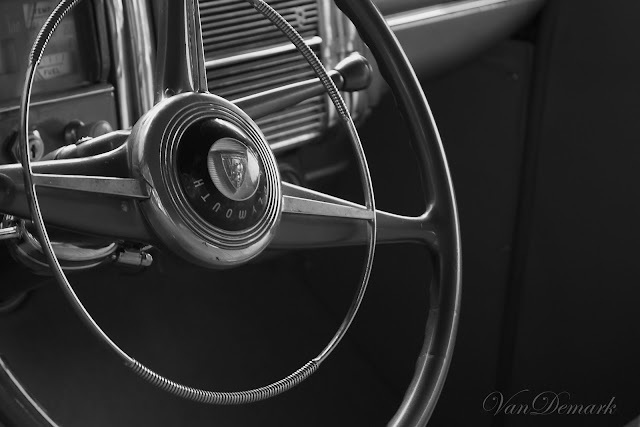 Classic cars are different. Definitely classic. Enjoy your creative shots. As usual, your captions were selected! Congrats! You put together such beautiful visuals! Have good time with friends! Wonderful captures! I love the reflections! 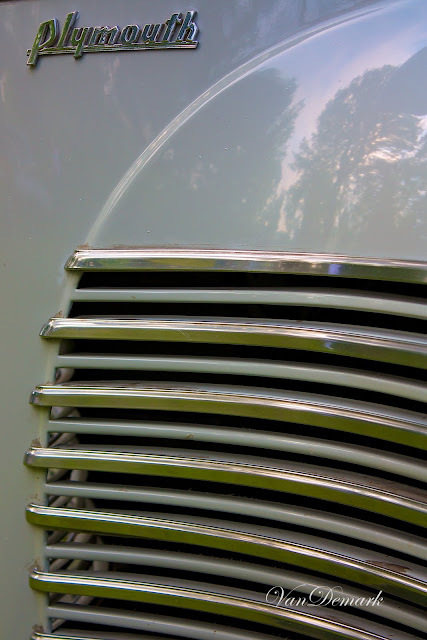 Love these old car details. So nostalgic! Wow, the new cars just don't have the same elements, do they? Beautiful set of photos! Stunning shots and I love the reflections in them too. loving the colors and reflections Anna..a work of art you have made with this series.. 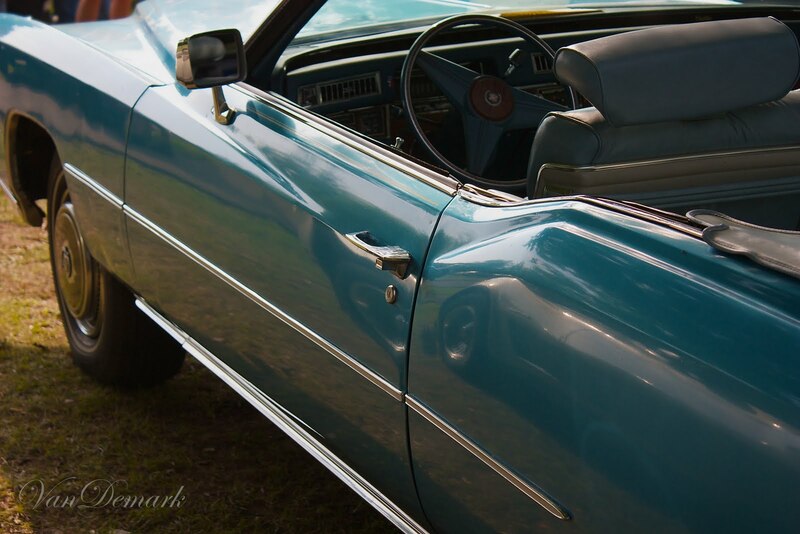 I also don't really have any interest in cars, but classic cars are beautiful. Love the angles and details you captured. Thanks for visiting me @ Chasing Rainbows and your lovely comments. Indeed, classic cars are a thing of beauty. 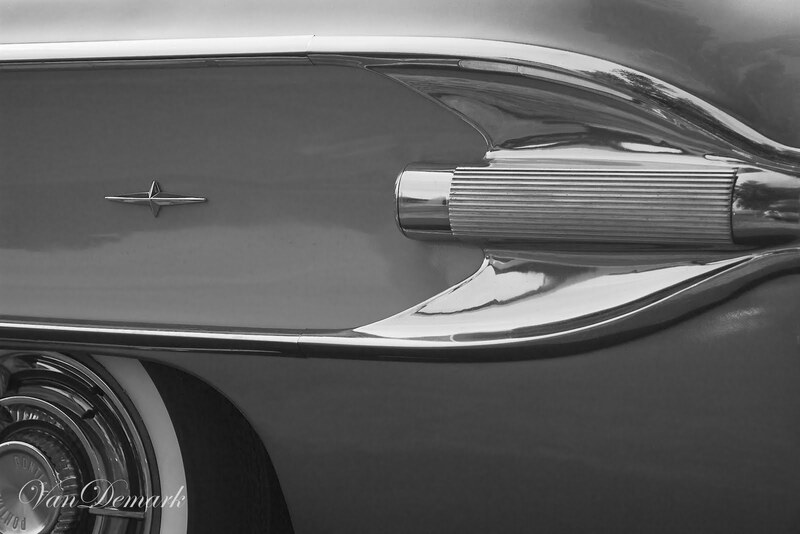 Modern cars are good too, but it's nice to see a good ol' vintage car parked around somewhere. I really love these photos that you took, good job! 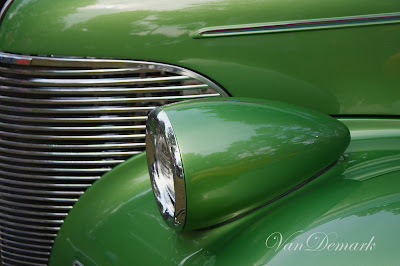 Your shots of vintage cars are really nice! They are truly lovely! 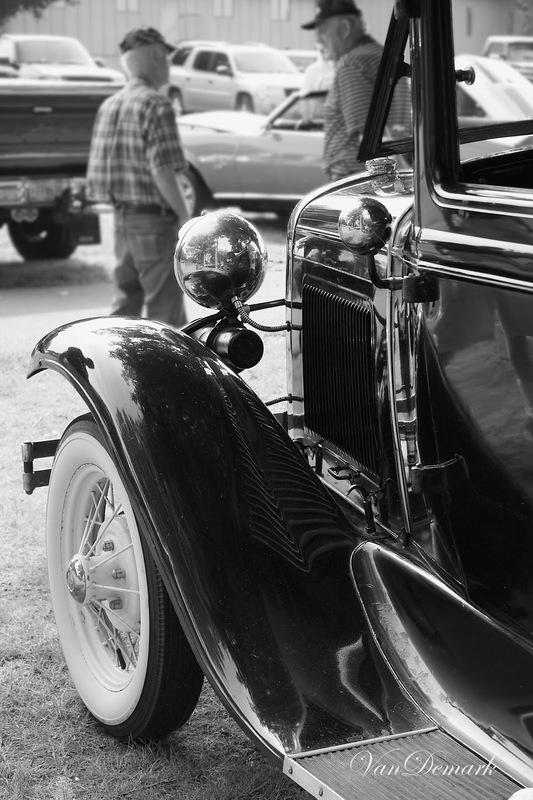 Do you have full-body shots of any those vintage cars? I’m really into vintage cars! 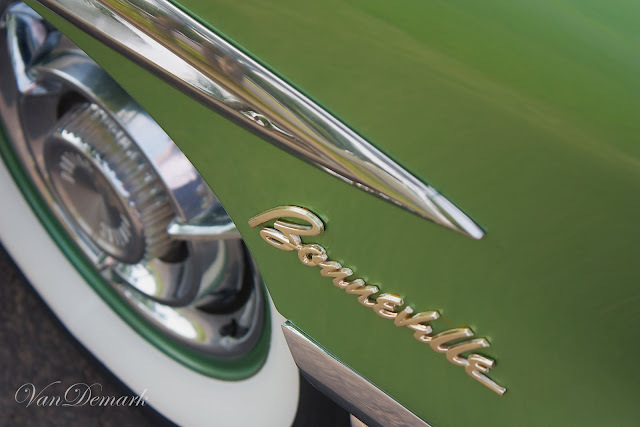 I always go to vintage cars shows as much as I can, just like you do. And like what Junior said, your shots are beautiful! Though I’d prefer if you had a full body shot. Don’t you have any full body shots of these cars?